Ruhaan Arshad popularly known as Miya Bhai is a young Indian Rapper and Singer. He is famous for his song Miya Bhai Hyderabadi which was penned and sung by him. Ruhaan is from Hyderabad, Telangana, India. He was born on 18 February 1998 and his age is 21 years old (as in 2019). Let us know more about Ruhaan Arshad. Sorry, He has not yet disclosed any information about his family yet. Ruhaan was not a singer by profession but his friends motivated him and he created his own song “Miya Bhai”. Ruhaan uploaded his first song “Miya Bhai” on 22 November 2018 and it gained more than four million likes and crossed 21 million views, in less than two months. Now “Miya Bhai” song has more than 100 million plus views and that is really a huge number. He said in an interview that his song “Mia Bhai” was made within 7 days with the help of his two friends Taufeeq Shaik and Abdul Aziz. Now, the song has become so viral that youngsters are playing it in parties around the world. Rohan gained mass popularity at the age of 21. Also, check the interview given below to know more about Ruhaan. 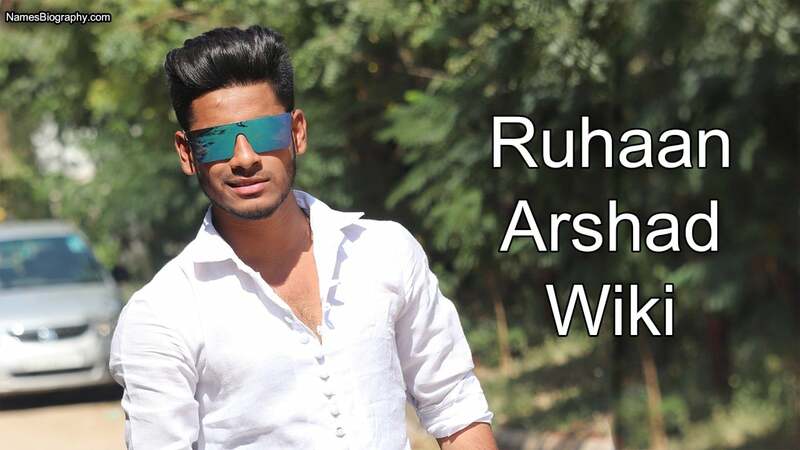 These were the latest information about Ruhaan Arshad (Singer) Wiki, Age, Biography, Girlfriends, Income & More. As soon as we get more details, we will update this information accordingly. Please do share guys this post with your friends and keep visit on NamesBiography.com for celebrities biographical updates. You may share your experience or any kind of suggestion with us by leaving a quick comment below. Thank You!